This past weekend I participated in the ludumdare game jam. 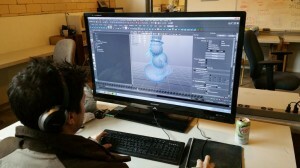 Working with 3D Artist Collin Bishop, we created a game around shooting waves of snowmen. The theme for the jam was “Entire Game on One Screen” which was limiting for me because I wanted to build a 3D unity game with a larger environment. One of the runner up theme ideas was “☃”. So I went with a snowman theme on one screen. The snowmen spawn in waves and you have to take them out with your choice of 3 weapons. You have a Auto-Cannon, Crossbow, and Shotgun to choose from. Ammo is unlimited but you do have to reload. As the game goes on the spawn timers get faster and faster. 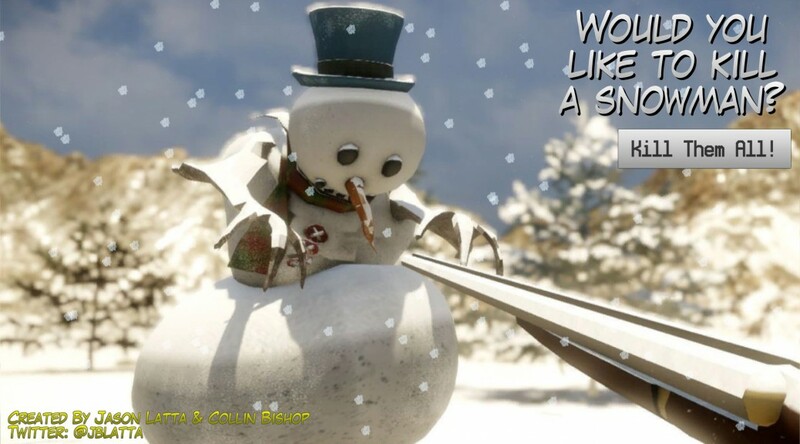 Collin Bishop created the snowman model with animations, the weapons, and the openning splash screen image. His art and models took the game to the next level. It is not often you get to work with someone that has an archive of 6000+ models. He makes a living selling models on www.turbosquid.com under the handle of free3dee. So please check out the game and leave me some feedback.